Showrooming - The act of examining merchandise or products in a store and then buying it online, often for lower prices. Combating showrooming can be tricky. Regardless of smartphone ownership, 35% of Americans engage in showrooming. Ultimately, this means a whopping $217 BILLION spent online instead of in stores, after the product had been looked at in stores. This is obviously a huge loss for local retailers. The most showroomed stores are big names such as Bed Bath & Beyond, PetsMart, Toys 'R' Us, and Best Buy. In rural areas such as Bradford, PA, it's the smaller stores that really suffer. These are not huge corporations, these are small, family-owned businesses that truly depend on those sales. They tend to provide more value and service than online retailers and can use that to their benefit when trying to reduce the showrooming that happens with their store. 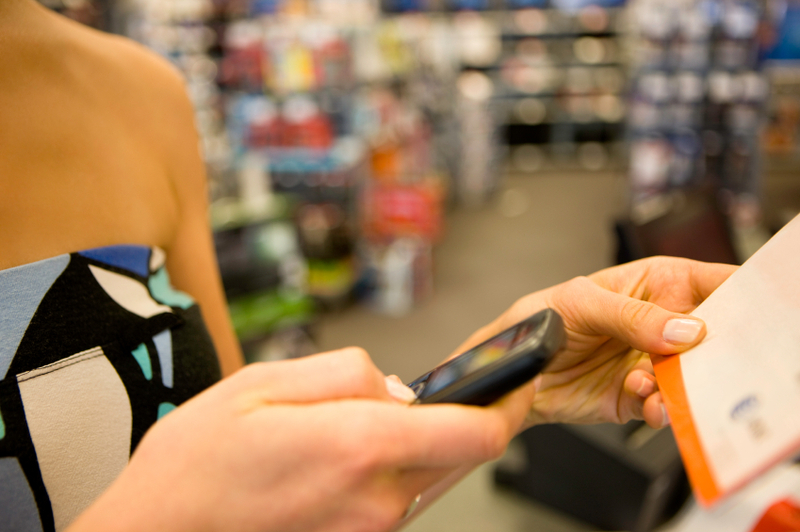 Mobile devices have made in-store price comparing very easy for consumers. This puts stores at an informational disadvantage. There are a couple ways to ensure that in-store comparison shopping doesn't get the best of your store. First, by providing a high-level of hands on help with your shoppers, you are making it clear to the buyer that the products price comes with support and value that clicking an "add to cart" button doesn't. Second, in-store shopping will start with a Google search in many instances. You can be there when they search by investing in a very locally-targeted PPC campaign. We have several posts on Pay-Per-Click advertising posts on this blog and more info on our website. We would be happy to help as well. You will sometimes see large retailers use price match guarantees to reduce showrooming. This has the negative effect of promoting in-store price shopping. They are often depending on the consumer to buy other items as well, making up for any losses with a price match. This isn't always an option for small stores. We recommend avoiding price-match guarantees unless you limit the price match to competing local retailers. By offering a price-match for online items compared to your in-store items, you are severely undervaluing your in-store service and value. Additionally, it's got to be a priority to sell the value that you add in store to the consumer by sharing nightmare stories of folks that have showroomed your store, and make sure they know that by buying from your store, you will provide service after the sale if need be. Another in-store option that is a bit more difficult for online stores to create and rank in search engines for is the product bundle. This is when you take 2 or more products and make getting a discount based on purchasing the entire bundle. As you can imagine, locating the exact bundle that you are offering in-store through a search engine will be quite difficult for a consumer. The trick is figuring out what to bundle. I have heard complaints from many retail clients that some of their patrons bring in products that the store sells, but the patron bought online, seeking support. Even the best of patrons may do this. This has got to be where you draw the line. Combating this should start as soon as a new customer enters your store. All of your staff needs to be trained to sell the store and the store's value to their customers, not just what you have sitting on your shelves. By consistently doing this, you are setting the buying criteria for patrons. They will understand that you have much more value than a faceless online outlet store. If you have a bricks and mortar store, in this day and age, you need a website to compliment it. Ecommerce would be great, but simply having a presence is better than nothing. By running a strong pay-per-click campaign in your local area, you can be sure that you stay in front of local patrons that are looking for products and services that you sell.